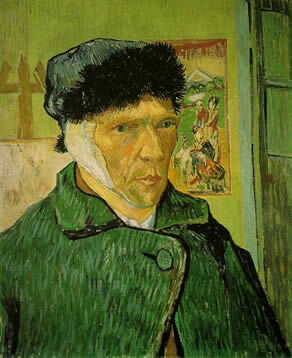 One of the first things I ever learned about an artist was the self-mutilation of Vincent van Gogh. To a 10 year-old, the idea that anyone could slice his own ear off seemed too demented to be true. And it turns out that maybe it was. 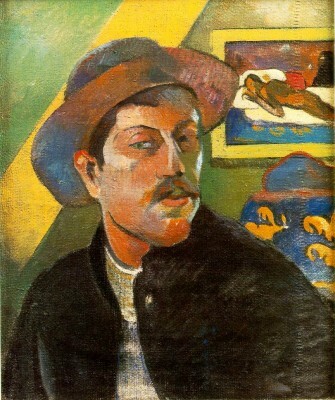 Scholars studying van Gogh and his friendship with Paul Gaugin are now claiming that it was Gaugin, an expert fencer, who inflicted the wound in a fight between them. The theory goes that the men agreed on the cover story that it was actually van Gogh’s doing. The end result of this deception was that I grew up envisioning painters as a violent and unstable bunch. Not that this new story makes much sense, though. Perhaps they were both a bit off, but at least van Gogh looks saner than I thought he was.